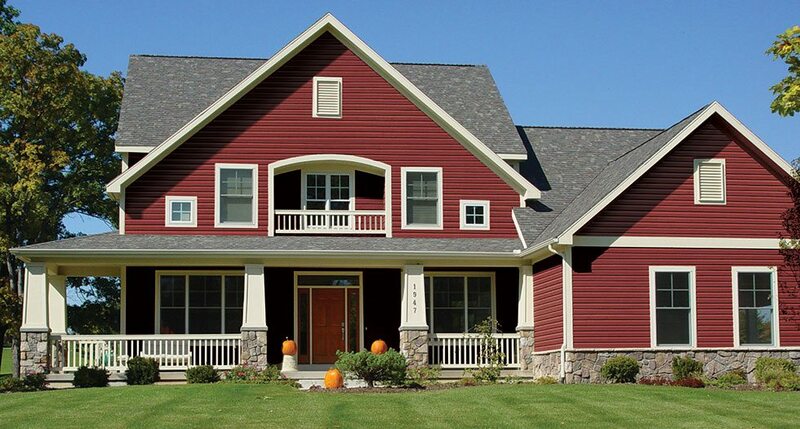 Vinyl siding is massively popular, and for good reason. It’s durable, virtually maintenance-free, and beautiful. But steel siding takes all three of those aspects up a notch. Steel siding offers superior protection for decades and is 100% recyclable. Steel siding has tighter seams at the joints for a finished look and resistance to water and insects. Steel siding resists the sun’s harmful rays and prevents fading and chalking – keeping your home looking great for years to come! Spend your time enjoying your home and not up on a ladder painting all summer! Steel siding is sustainable and safe for the environment. And no masks are needed when cutting the product unlike with Fiber Cement! Steel is the strongest material available to cover a home’s exterior. It’s designed to last, just like your family! Steel siding’s profiles stay true even in extreme heat and stay tight against exterior walls providing a seamless finish. Provides the look of real cedar boards with the endurance of steel. In the case of hail, vinyl siding will often be left tattered, torn, and full of holes, whereas steel siding can withstand nearly anything that mother nature can toss at it! Give Gravina’s a call with any questions about steel siding!